At Lawrence of Morocco we feel that this is such a wonderful cause that we are going to donate £5 for every booking we take in 2015. Please read below to see why and hopefully you may feel like making a small or not so small donation to this fantastic and much needed organisation. 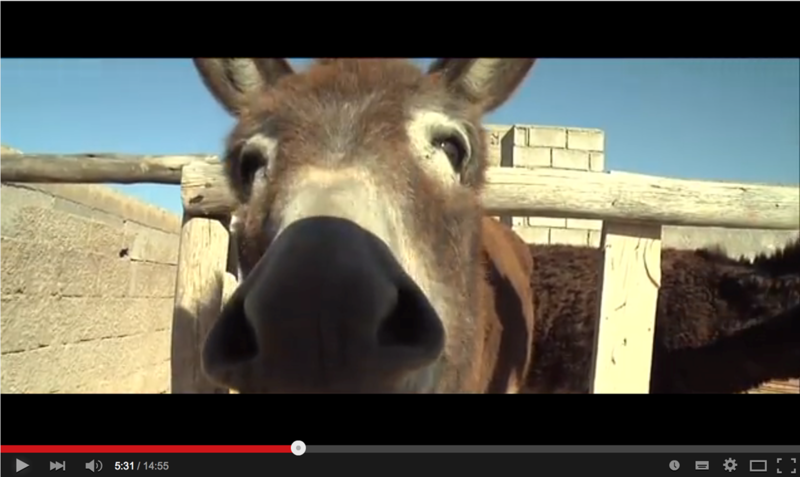 Jarjeer Mules needs your help please. 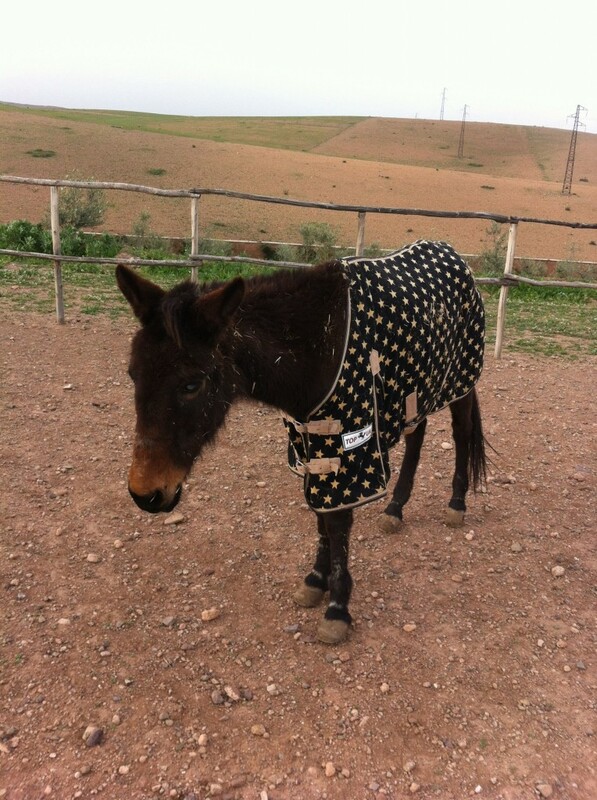 We are the charitable funding arm for Jarjeer Mules based in Marrakech. By clicking on the image below you will see a video of the history of the Sanctuary at Jarjeer and our hopes for the future. We need your help to raise the funds to build essential housing for the animals and be able to offer a retirement home for mules who are no longer able to work in the mountains. Click here to DONATE NOW ONLINE. Thank you. 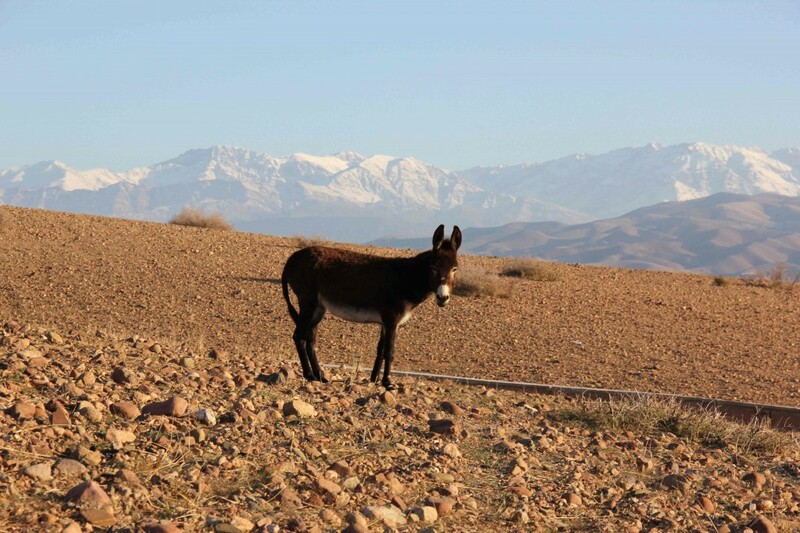 Jarjeer is based just 24 kms south of Marrakech in the foothills of the High Atlas. We are a retirement home, orphanage and hospital to many animals. Come and meet our team of magical donkeys who are socialised, friendly and always very happy to see visitors. The Jarjeer project is supported by ‘The Machin Foundation Ltd’ a company limited by guarantee with charitable objects, registered in England and Wales. The charity was established in memory of Harry Machin, an animal lover and father of the founder of Jarjeer Mules. All of us at Jarjeer are committed to animal welfare and those within our charge are cared for to exacting standards. Visitors are welcome to come to Jarjeer, either to just enjoy the company of the animals, walk the foothills with a donkey or to bring their children to ride one of the older donkeys. Sally came to Jarjeer from a local farm where her owner was worried that she had lost so much weight. He hoped we would make her better as she had worked hard all her life. It had to be explained to him that Sally was now to old to work and he agreed to sell her to us. She is blind in one eye where a passer by had thrown a stone at her. Never the less Sally has settled very well at Jarjeer and is completely socialised. Jenny works at Jarjeer during the day but returns to a nearby village in the evening! She is great friends with the other donkeys who greet her each morning when she arrives for breakfast. Jenny is a very gentle loving girl who works in the fields during the harvesting season. She is very easy to ride and happy to take children on a tour. All over the developing world, animals support poor families. Donkeys and mules in particular are used to carry heavy loads and toil in the fields in blistering heat. At Jarjeer we offer homes to donkeys and mules who are not able to return to work, for whatever reason, and become part of our extended family. We are hoping to finish building more stables and provide safe paddocks so that those in our care can enjoy freedom without being tethered. It costs £800 a year to keep one donkey including rabies injections and medical care. Our donkeys do their very best to help ease finances by offering rides to children, accompanying adults on short treks or attending special events. An excellent way to help us continue our work is to sponsor a donkey/mule/stable or make your donation a gift for someone else. For as little as £5 per month you would Save the Muleshelp pay for essential food, bedding, shelter and medical care.